3D printing is a very interesting technology. 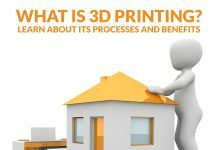 For others, 3D printing is just for fun, but this technology has made huge breakthroughs in the field of medicine. In fact, some of its most incredible uses can be found in the medical field. Thanks to bioprinting, a bio-ink made from living cell structures because printing specific living tissue is now possible. Bioprinting research is developed to print different type of tissues. On the other hand, 3D inkjet printing is used to design advanced medical tramadol devices and tools. Organs – At the time, 3D printing an entire organ for surgical use is still in the works. However, scientists and researchers have already successfully printed kidney cells, heart tissues that beat like a real heart, human liver foundation and organ tissues. Liver – In 2014, Organovo 3D printed liver cells that could not only survive for a substantial amount of time but also demonstrated liver functions that are beneficial for testing the toxicity level of drugs. Heart – In a separate experiment, researchers at Carnegie Mellon University 3D print a human heart with a biological material. The team used engineering gels like collagen or fibrin to 3D print the human heart layer by layer. However, the process was tough because soft materials collapsed under their own weight. So, they have to make a way to support it until it is printed completely. The team used the technique they called FRESH or “Freeform Reversible Embedding of Suspended Hydrogels.” With this technique, they printed a gel inside another gel. The support gel can easily be removed by melting it in a body temperature that does not damage the delicate biological molecules that were bioprinted. The team’s next challenge is to incorporate real heart cells into the 3D printed tissue structures to help form contractile muscle. If 3D printing human hearts will be a success, the agonizing wait for a heart transplant from a donor will be significantly reduced. Artificial Ears – Thousands of children are born with congenital deformities like microtia or little ear. In some cases, accidents and illnesses contribute to ear loss. To address this issue, researchers created 3D printed ears. It looks like a human ear and behave like one. These ears are very quick to process. It only takes half a day to build a mold, a day to print it, 30 minutes to inject the “living” gel and the ear can be removed after 15 minutes. Using these ears for transplants reduces the risk of rejection. 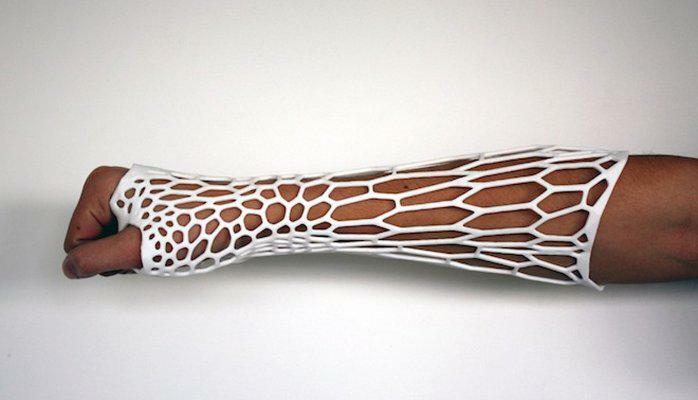 Skin – 3D printing offers a new solution for patients with skin problems, wounds or burns. James Yoo, a researcher at the Wake Forest Institute of Regenerative Medicine invented a portable printer to graft skin straight onto the wounds of burn victims. The printer will scan the wound and fabricate the appropriate number of skin layers needed to fill the wounds. The study is funded by the US Department of Defense to treat injuries in the battlefields that usually involve the skin. Bones – The researchers at Washington State University used a top 3D printer pen to create a bone-like material and structure that can be used in orthopedic procedures and for treating osteoporosis. It can act as a scaffold to support the growth of the new bone and will dissolve without any side effects. “If a doctor has a CT scan of a defect, we can convert it to a CAD file, and make the scaffold according to the defect,” said Susmita Bose, co-author of the study. With this development, doctors can custom-order bone tissue replacement in the future. 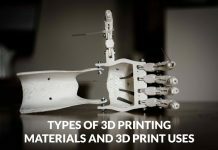 Prosthetics – Aside from printing organs, 3D printing has been very useful in creating low-cost prosthetics. Traditional prosthetics are time-consuming and hassle because a slight modification will destroy the original mold. Getting one could be very expensive. 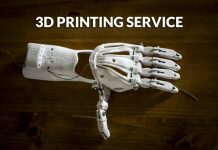 However, with 3D printing, making prosthetic hands or limbs are faster, cheaper and easily customizable. Aside from hands and limbs, prosthetic rib cage through 3D printing is another breakthrough. A 54-year-old cancer patient received the world’s first 3D-printed chest prosthetic made from titanium after a significant portion of his chest had to be removed because of a tumor. The patient was recovering well and was discharged after 12 days. Heart Valve – The researchers at Cornell University has successfully fabricated a living heart valve with the same structure and architecture of the original valve through 3D bioprinting. The team used alginate/gelatin hydrogel system with smooth muscle cells and valve interstitial cells. They also used a dual-syringe system to copy the structure of the valve root and leaflets and they successfully created a living aortic valve with a strong resemblance to the native valve. Cranium – In several instances, 3D printing cranium has been useful. The world’s first skull transplant used 3D printing technology. The recipient was a 22-year-old woman suffering from a condition that thickens bone structure and increases pressure on the brain. The condition squeezes out the vision and may impair basic motor coordination and brain functions that could have led to death. In a separate incident, a 46-year-old Chinese farmer got into an accident, which crushed the left side of his skull. It resulted in shattered bone fragments and a large depression on his head that he suffered double vision and was unable to speak or write. After the accident, he gained the nicknames “half headman” and “Frankenstein.” Thanks to Stryker firm and Xijing Hospital, he was sponsored for a surgery. The doctors use a 3D printed mesh that accurately copies the shape of the patient’s skull. The titanium was more compatible with his body, reducing surgery time and incidents that could have occurred during the operation. The doctors were hoping that his brain tissue would regenerate, so he could speak and write again. Stem cells have impressive regenerative properties. They can reproduce or replace different kind of human tissues or cells to treat diseases like macular degeneration, spinal cord injury, stroke, burns, heart diseases, diabetes, osteoarthritis and rheumatoid arthritis. Now, stem cells are being bio-printed. Surgical tools – 3D printing is good at manufacturing items that are expensive and difficult to obtain. Among the surgical tools that can be engineered through 3D printing are umbilical cord clamps, forceps, hemostats, scalpel handles and surgical smoke evacuator. These items come out of a sterile printer and only cost a fraction of its stainless steel counterpart. 3D printing technology is no doubt a great contributor to the success of medicine. This technology is being used in healthcare and continuous research is being made with 3D and bioprinting. In no time, everything will be possible with 3D bioprinting. Do you agree?